I've been excited to create this look for a few months now, but kept putting it off because it seemed so daunting. 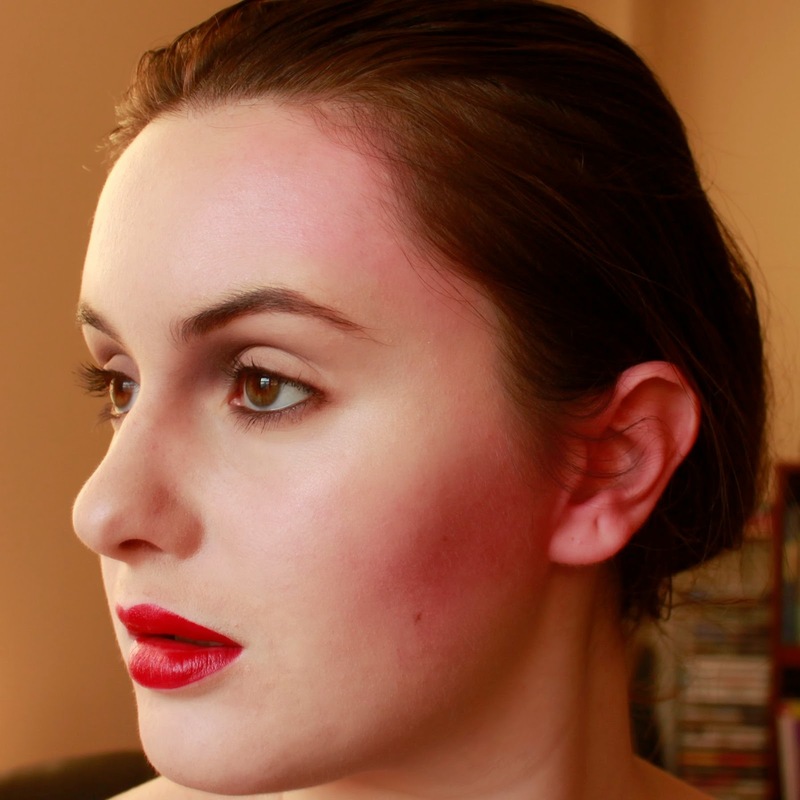 And sure enough, this was by far my most time-consuming look to date. I started it at 11am, and began taking my final photos around 5:30pm, though I did take a few breaks here and there! 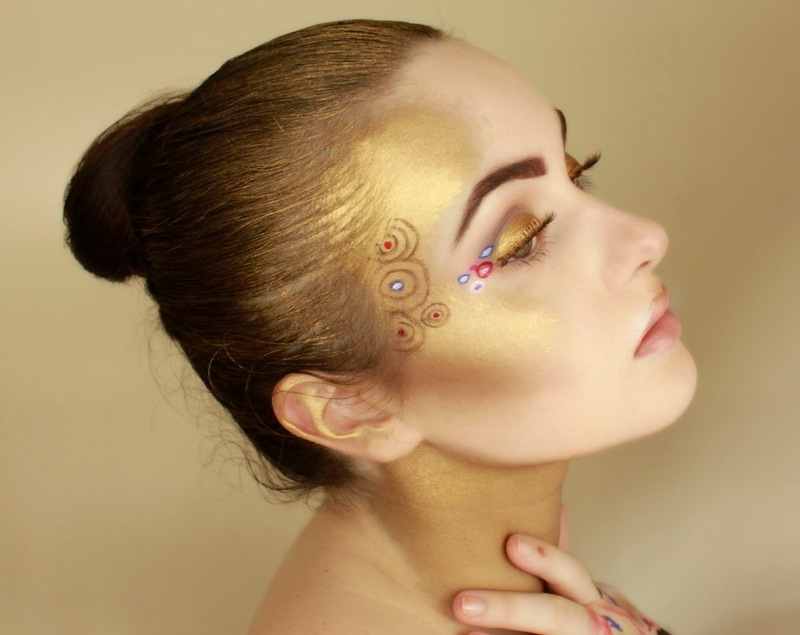 It's also the first look where I strayed off my face with the makeup, applying the gold pigment to my hair, ears and neck for a more fully-realized makeup creation. I'm really pleased with it! Pop quiz: what's the most important eyeshadow shade to have in your collection? Depending on your personality, your first thoughts might be taupe, violet, black, chocolate brown. While those are all great to have, none are The One. 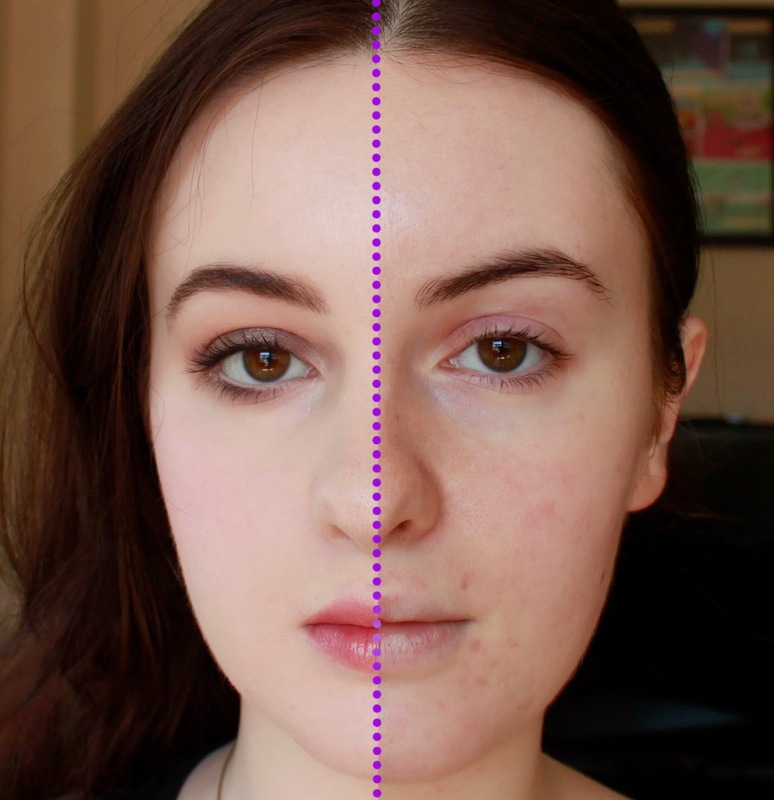 In fact, this is sort of a trick question because the most important shade of eyeshadow to own changes from person to person: it's a shadow that matches your own skin tone. 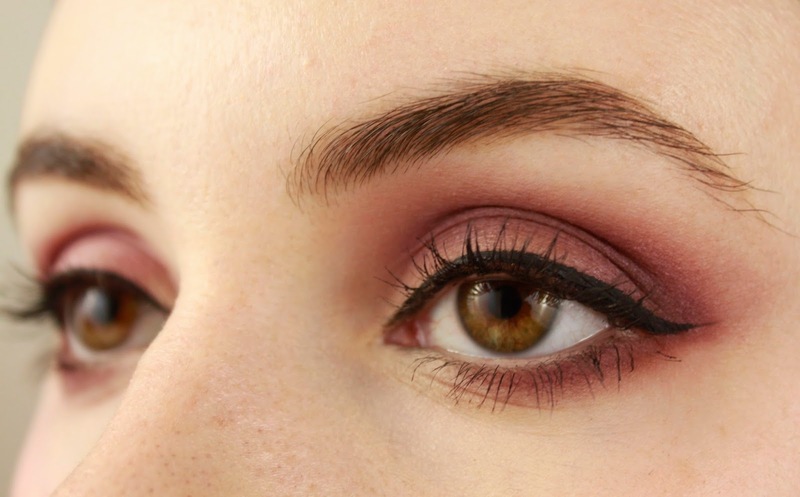 That might sound boring, but trust me, this shade with unlock a world of beautifully blended eye looks, whether you love a dark smokey eye or neon brights. "I shall die very young." "I don't know. Maybe 70; maybe 80; maybe 90. But I shall be very young." If you have any interest in fashion or style and haven't seen Diana Vreeland: The Eye Has To Travel, you need to make a mad dash to your Netflix account and watch it tout de suite. In fact, forget whether or not those topics interest you. Just watch it. Today I'm going to walk you through my special-occasion-I'm-going-to-be-photographed-and-want-to-look-pitch-perfect foundation & concealer routine. This is a step or two more than I'd apply on a day-to-day basis. As I go through I'll note which steps you can drop for everyday. Of course, if you have naturally smooth & even-toned skin, you can just slap on some moisturizer and sunscreen, maybe a quick under-eye concealer and powder, and call it a day! But if, like me, your skin has more than a few imperfections, keep reading! Also, see this previous post on my skincare routine to start with the best skin possible.